Why choose MDCI Project Managers? Some may say that managing a project is the same regardless of location and in an ideal world this would be the case. Sadly, even in today's European Union, standards are inconsistent, prices vary wildly, quality assurance is often a hit and miss affair in countries one is not familiar with. MDCI have over 25 years of experience managing projects and their knowledge of the market place is second to none. MDCI provides a multi-lingual team thus removing the language barrier which can cause so many problems for foreign investors and developers. We don't simply speak the local language however, we also understand local customs, traditions and laws, a necessity when dealing with contractors and suppliers. MDCI understands the importance of a personal approach and throughout your project's life, an MDCI project manager, backed up by a large team of professionals, will be dedicated to your project's development. We draw from an immense pool of talent which over the years has gained a wealth of knowledge facing and overcoming new challenges. This unrivalled experience, passed on to our clients, acts as an effective insurance for your project's success. Your manager, like the company as a whole, will respect your values, protect your interests and ensure your aims are realised. You can browse through our extensive project portfolio which has examples of our record of achievement with over 25 years of development. 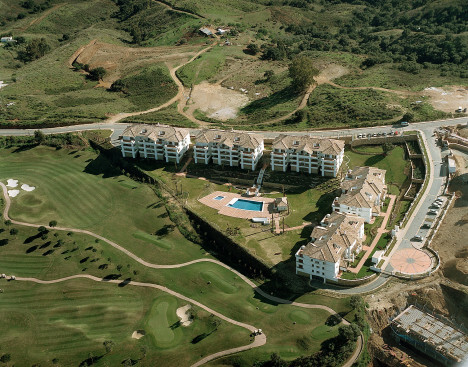 Examples are Marriott's Marbella Beach Resort, or developing luxury Villas. During the different phases of a large development which may take several years to reach its completion, it is inevitable that prices rise. As clients of MDCI you will receive a guaranteed price structure which enables you to effectively cost your entire development accurately. Our service certainly is not free and you may be asking yourself, why should I spend even more money on my project? The answer is simple, by spending at the beginning of your project, you ensure that it will be delivered on time and under budget – up to 10% in fact. We don't ask you to take our word for this – MDCI's track record speaks for itself! Finally, MDCI is an ethically driven company and our policies and procedures reflect that. We are 100% committed to providing an integrated, quality service guaranteeing a successful development process and on–target conclusion.